Suzan-Lori Parks confirmed herself as one of the most exciting and successful playwrights of her generation when her work Topdog/Underdog was awarded the 2002 Pulitzer Prize, making her the only African American woman to win the award. Despite the cultural weight of this achievement, Parks remains difficult both to pigeonhole and to summarize. This volume seeks to provide a context for her work, with essays from major and emerging scholars addressing the importance of factors such as gender, ethnicity, language and history in plays from her first major work, Imperceptible Mutabilities of the Third Kingdom to the 365 Days / 365 Plays project. 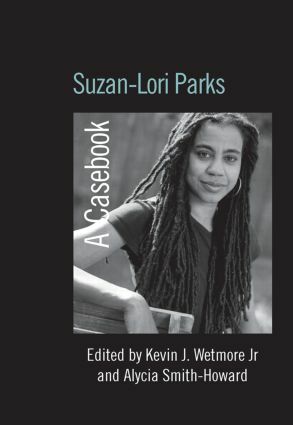 Suzan-Lori Parks: A Casebook represents the first major study of this unique voice in contemporary drama. Contributors: Leonard Berkman, Jason Bush, Shawn Marie-Garrett, Andrea Goto, Heidi Holder, Barbara Ozieblo, Kevin J. Wetmore Jr and Harvey Young. Kevin J. Wetmore Jr is Professor of Theatre at Loyola Marymount University, as well as being a professional actor and director of the Comparative Drama Conference. He is the author of The Athenian Sun in an African Sky and Black Dionysus: Greek Tragedy and African American Theatre. Alycia Smith-Howard an Assistant Professor at New York University in the Gallatin School of Individualized Study, where she is the Artistic Director of the Gallatin Arts Festival and the Book Reviews Editor at the New England Theatre Journal. A Fellow of the Folger Shakespeare Library, her areas of specialization include Shakespeare, performance history, feminist theatre aesthetics and literature and drama of the south.